Ted Noffs Foundation provides essential services for young people and their families who are experiencing drug or alcohol problems and related trauma. 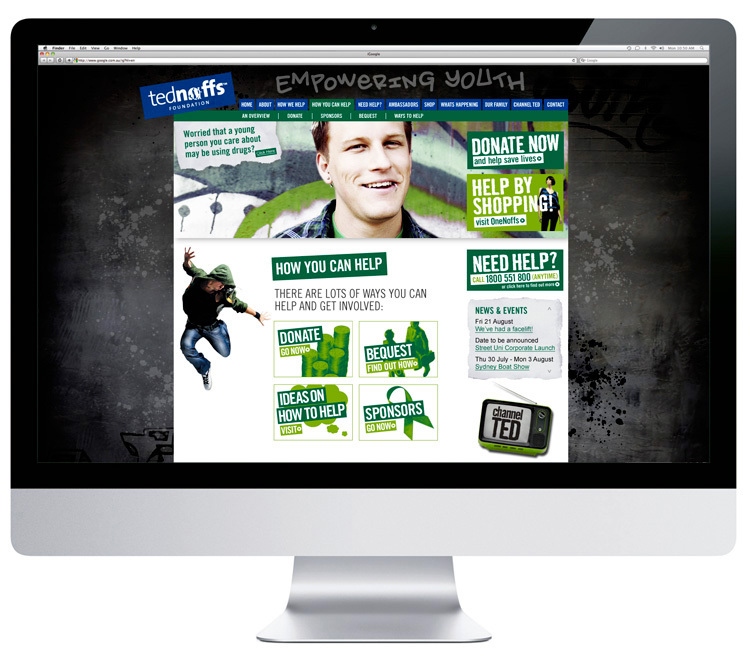 We did extensive research into Gen Y and charity websites to help us create a site that was youthful and street smart yet also appealing to older potential donors. The imagery used is aspirational to inspire hope and change – smiling, uplifting and happy youth shots teamed with positive messages throughout the site.